As PAT is moving into second and subsequent cycles of implementation, the targets for energy efficiency at industry level are expected to become challenging, more so, for the textile sector. KEP has always tried to improvise its strategy to meet the continuously changing needs and requirements of the industry with regard to achieving energy efficiency and with this mandate KEP is providing value added services for training and capacity building of the industries under the SPARC model (Service Package for Advancing Resource Conservation). The whole idea behind organizing such training programs is that, with the enhanced target under the PAT scheme in each cycle the industry will need much more customized and hand holding support to identify their plant specific opportunities for energy efficiency. 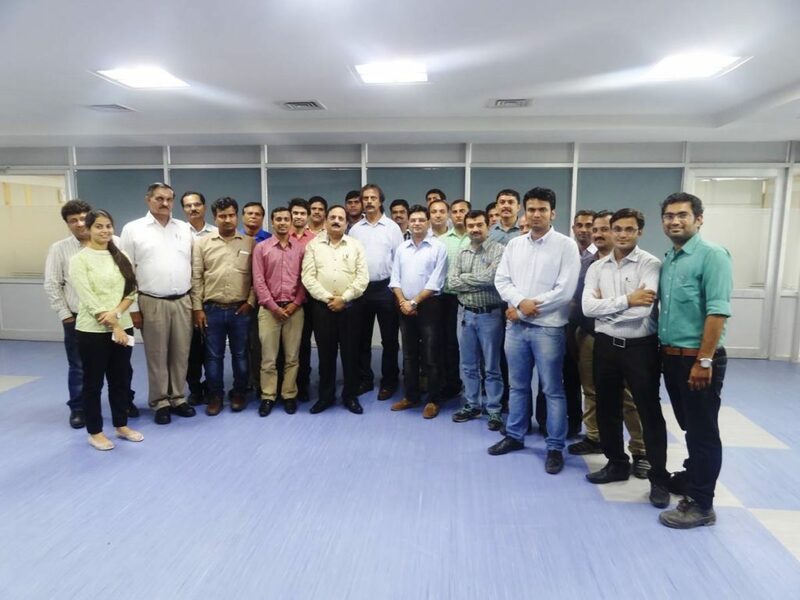 The two days training and capacity building workshop was organized at Arvind Limited, on 8h – 9th August, 2017 which was attended by 24 officials working in various process departments. New, cutting edge and innovative technologies on Thermal & Electrical efficiency suitable for the specific to the plant operations. Build the capacity of the plant personnel to handle the operational and technical aspects of implementing new energy efficient technologies and approaches. The welcome address was presented by Shri Harvinder Rathee, Engineering Head, Arvind Limited. He welcomed, Departmental heads and KEP faculty- Shri Nagesh Kumar and Shri KK Chakarvarti. In his address, he highlighted the contribution made by KEP in promoting energy efficiency in Indian Industry and hoped that under KEP-SPARC membership, Arvind Limited will also be greatly benefitted through the proceedings of Capacity building program and 3 days Small group activity. Plant has already reaped in benefits from short and no cost measures and to achieve further saving potential, the knowledge gained through KEP workshops will be really helpful. Shri K.K. 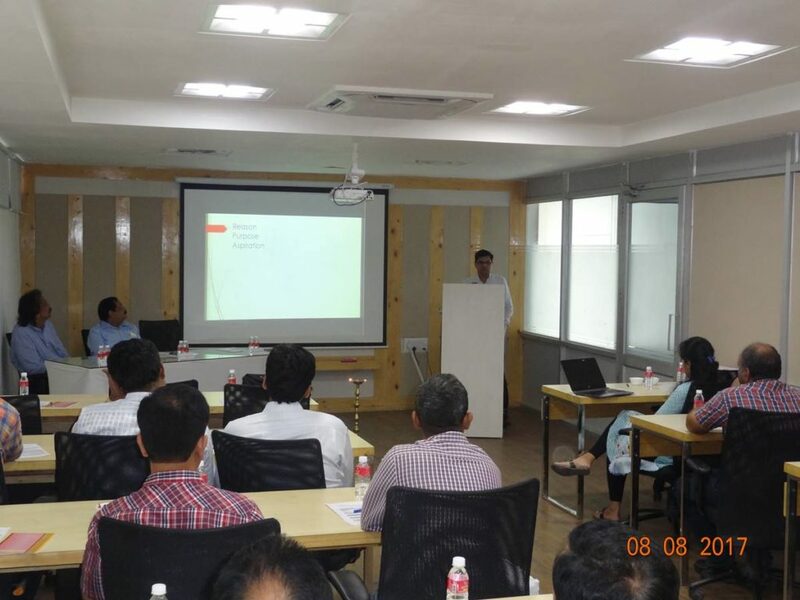 Chakarvarti, Expert Consultant, and Shri Nagesh Kumar, Expert Consultant, while giving the introduction to the workshop, in the inaugural session explained the participants about the importance and need for capacity building of plant engineers. Capacity building of plant engineers and officials is paramount in achieving PAT Targets. Capacity building program will benefit plant to develop and sustain a strategy to achieve PAT Targets. The plant must identify the areas where the energy intensity can be reduced. Mr. Chakarvarti congratulated plant personals in receiving the Top Rank Award and CEM Insight Award in 2016. He hoped that capacity Building program and SGA Workshop will further strengthen the efforts of plant team. Before beginning the technical sessions of the workshop, Shri Kushal Trivedi, Manager-Utility, Arvind Limited, provided an overview on the design and operation of different processes and utilities in the plant so that the participants could keep the plant specifications and needs in perspective while understanding and relating with the suggestions/ opportunities identified in the technical sessions. The 2nd technical session was focused on Fuel and combustion systems and efficient distribution and utilization of steam. The 3rd session covered electrical systems specifically focused on transformers, how to avoid distribution loss and power factor improvement. Electrical motor efficiency is increasingly becoming important for enhancing the overall energy performance of any plant. BEE is also advocating the use of energy efficient motors viz. IE3, IE4. The session therefore focused on energy efficiency issues and conservation aspects with regard to electrical motors. Shri Chakarvarti illustrated this through various case studies and examples. The second day was designed to cover four technical sessions. The first technical session was focused on enhancing electrical savings in compressors and compressed air systems which was illustrated through both technical options as well as how they can be implemented through practical examples. The second technical session covered case studies on energy efficiency improvement in textile sector by Shri Prakash Vankhani, Director, GSH Energy Services Pvt. Ltd. He explained the potential for energy savings in the utility areas through case studies. The third technical session covered case studies in the process side viz. spinning and wet processing system. The last technical session covered the best practices and case studies of successful applications and how the power can be saved, explained through relevant case studies. Detailed discussions were held with the participants to explain how these best practices can be implemented in plant’s context. Concluding session was attended by Shri Harvinder Rathee, Head-Engineering, Arvind Limited. Shri Rathee while interacting with participants asked about the learnings from the program and how best it can be used. He appreciated the engagement and candour that the officials have contributed to this workshop. This workshop has been proactive in understanding the opportunities of optimum utilization of energy in utility and process side. KEP is always open to modification/changes in its strategies and approaches based on the feedback from stakeholders, so that all the activities/events being organized under KEP are responsive to industry needs and are customized to specific requirements. In this regard, KEP also sought a structured feedback from the energy professionals of the plant in which of the 77% respondents mentioned that this training program helped in learning about one or more specific ideas that they will be able to implement in the area of energy efficiency and new approaches to energy management. 70% respondents felt that they have acquired new and/or advanced skills/ knowledge on energy efficiency and the training program has helped in building their capacities for better able to build my capacities for better decisions/actions at the plant level.